What Is The Ah Project? Why did you start The Ah Project? The Ah Project is among twenty-seven projects that received a Sappi: Ideas That Matter grant! We are partnering with The Jed Foundation to launch the full website and to supply resources to college and university students who may have a loved one or friend with a mental illness. I would like to say a personal thank you to every person who has contributed their personal stories, their opinions, and their encouragement over the past year — this wouldn’t have been possible without you. When I began the project, I was unaware of how many people were affected by mental illness in their family, and I’ve since been humbled by the number of people that have approached me to tell me their own personal stories. At times The Ah Project was a daunting undertaking for me, but through these words of encouragement and appreciation, I chugged along. So thank you, thank you, thank you. For the time being, we will still maintain the blog format for the website until we have our full launch. Stay tuned for details! If you would like to contribute your own personal story, music, video, or drawing to The Ah Project, send an email to: theahproject@gmail.com. A hand moves, and the fires’s whirling takes different shapes. …all things change when we do. The first word, Ah! blossomed into all others. Well… WE’RE BACK! It’s the first day after Labor Day, and at least here in NYC, something feels a little different. It seems that as a collective whole, the city decided that recess is over and that it’s time to buckle down and get back to work. The air has cooled a bit, and it feels like the first day of a new year—a fresh start. As many students start back to high school or college today, many set new intentions, new goals, and new approaches. If anyone else’s patterns are like my own, it seems that these new habits tend to go smoothly for awhile and then after awhile, no matter how hard we try, at some point life gets overwhelming. As we go through our routine of “trying to be productive,” it’s important to take care of Numero Uno first. Of course the obvious: get enough sleep, exercise, eat right… we all know these things. But often times things can get so overwhelming with life or family, that the obvious things don’t happen as easily, and you might need a little extra boost. 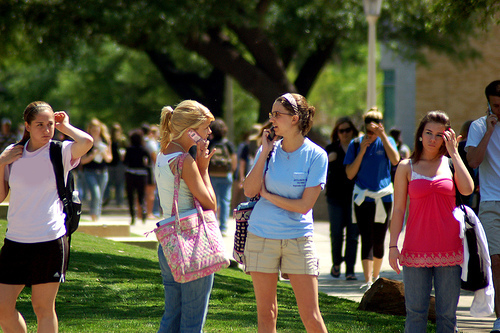 Many universities offer free health and counseling services, and it’s a great place to take a load off if you need a little outside perspective. If you’re feeling unsure of whether you should talk to someone or not, ULifeline is a great, anonymous online resource provided by The Jed Foundation. You simply type in your school name, take a very short quiz, and ULifeline will let you know the services that your school offers. So as we step into the crisp days of Fall with a fresh mindset, best of luck! Take deep breaths, and take care. Note: Portions of the original text have been removed for length. The first time I recall visiting a “mental hospital” was 1979. Although I had journeyed into hospitals prior to that, this particular hospital is ever present in my memory. If you have seen the movie Rain Man you might recall the institution that Dustin Hoffman’s character lived in until his brother came to visit. In my memory this building was similar. Large, brick, looking a bit like a building on an ivy-league campus, the building loomed as we drove past the well-cultivated lawns that surrounded it. My memory is of a cold environment, with tiled floors and doors made of metal that closed loudly as they shut and locked. I think of the sound of metal on metal and of the large, colorless, sterile hallways. Following my memory, I walk down the corridor to a room with tables. People dressed in white hospital gowns walk slowly in a daze. Years later I saw One Flew Over the Cuckoo’s Nest and was amazed at how closely the hospital depicted in the movie reminded me of this hospital from my memory. Coming through those hallways, doors opening and locking shut, my journey would usually end in a warmer room. In this room, with nice carpet and wood fixtures on the walls, I would visit my mother. I was nine years old. The warmth of the visiting room did not convince me the hospital was a good place. In fact, as a child I was acutely aware of the bad conditions and worried about my mother. There are thoughts that I have about this hospital that seem like memories, but they are not mine. They are memories that I created listening to my mother over many years as she recounted her experiences. She spoke to me of being locked in solitary confinement for long periods of time. She recalled being told she “was the worst case of bi-polar schizoaffective disorder they had seen” and that she would “never get out.” But during the time of those visits, I too was in captivity. I was in a holding pattern, waiting for my mother to get better so that I could learn what the truth was about her, about my father, about her illness. I was living with my grandparents, but they could not communicate to me what was going on. So I retreated into a world inspired by Catholic imagery and mystics and waited for brief moments when my mother would be available to help me. My mother was diagnosed with bipolar disorder in 1974. Through no fault of her own, nor my father or grandparents, my mother began hearing voices in 1977. As she told me later, “I was hearing 20-40 voices at a time.” Despite that, my mother was awarded custody of my brother (18-months-old) and me (seven years old) after she divorced our father. For a little over a year we lived with our mother while she was hearing voices. It still amazes me that no other adults knew she was ill. This left me to fend for myself while I also took care of my mother and brother. I recall that I knew when it was time to go to school when the Yogi the Bear show, a morning TV cartoon, ended. I also recall my mother crying a lot and thinking that my brother and I were being killed my Nazi soldiers. She would walk around the apartment trying to catch her eyes because she believed they had floated out of her face. She often locked herself in the bathroom and talked to herself in the mirror because she had telepathic powers. We lived like this for a year until a babysitter and her mother figured out what was going on. Then, overnight, we were moved to another State where a vicious custody battle ended in accusations between my father and grandparents, each claiming the other had kidnapped my brother and me. In the end we were moved yet again, over night, to a different State. We moved between four states from 1978-1979. Blaming tore our family apart more than my mother’s illness. Everyone was angry and no one took the time to talk to me about what was going on. Over the years I was with my mother as she suffered through each period of psychosis. I would wait for adults to intervene, often feeling helpless and not knowing who or how to call for help. When adults did intervene, it usually meant moving from the State where we lived, changing schools again and losing any ties I was beginning to build. During these years no one asked me about my experiences of living with my mom while she was ill. I was expected to just go play and be a child while she was in the hospital. No one appreciated the good work I had done when no adults were around to observe. And this role of caretaker, the only role I had learned to do well, was taken away from me when adults stepped in to help. I was ill equipped to play with my peers. Through this disjointed period of loss I fell into depression and dissociation. Grief stricken by the series of events, I began to hope I would see a vision of the Virgin Mary. In retrospect, I wonder now if that desire was also a wish that I could somehow make sense of my mother’s illness. By 1980, my mother had become well enough to live in a group home where she met my future step-father, who struggled with schizophrenia. My mother recounted to me that “they wanted to prove the doctors wrong.” She also told me often, “my motivation for getting out of the hospital was that I wanted to raise you kids.” My brother and I went to live with our mother and step-father after they were married. It was during this time that I opened up to the grief I was holding inside. I recall this time period, from age 10-12, as the darkest years of my life thus far, but this was also the most therapeutic period of my childhood. My mother was well enough to help me. I finally had someone who was able to answer my questions and who was not afraid to explain what was going on. According to my mother, for 13 months she stayed up with me every night until 1AM in the morning while I cried. “I counted” she told me later, as we reflected together. People often ask me what factors contributed to my resilience. I credit my mother. Despite thirty years of struggling with mental illness my mother never insulted me and believed strongly in reinforcing children’s self esteem. One day, as a high school student, I teased my mother about her illness in front of one of her friends. The friend attempted to correct me, saying that she did not allow her children to tease her. My mother stepped in saying “you have to understand, this happened to Margaret too, and she needs to laugh about it.” She also acknowledged that sometimes my teasing hurt her feelings. I had not realized I was hurting my mother’s feelings and after that I stopped joking about her illness. But it was exactly this awareness in my mother regarding my needs that contributed most to my recovery and health. In the week before my mother died she said to me “I know you are tired from caretaking and I want you to know that I want to take care of you too.” She had taken care of me, despite amazing odds. This is a call-to-action to “the group” – adult mental health and child welfare administrators, advocates, researchers, professionals and workers. I believe we will truly make a difference in the lives of millions of children and their parents in the United States today if we broaden our vision to deliberately eliminate stigma against parents who struggle with mental illness. We can do so by recognizing that parenting is an essential human role and can be a significant rehabilitative factor in helping a person reach wellness. When a person with a mental illness is a parent, activities supporting their parenting role should be part of their recovery plan and outcomes should include how their children are doing. Even in a hospital, in a jail, on the street – a non-custodial parent with mental illness is still a parent. People gain great esteem from the unconditional love and bond of parenting. I am encouraged by the work of groups in Australia and the UK as they develop their “young carer” initiatives and I think we can build on what they are doing. When we incorporate parenting into our vision of mental health recovery in the United States we will have taken a giant leap forward in eliminating the stigma of mental illness. The quick blurb in the magazine intrigued me for a few reasons. I thought, “Great, just another film that makes people with a mental illness look dangerous and scary.” Without having seen the film however, it seems that this is not Haaken’s intent at all. Haaken is pushing to expose the living conditions at the hospital, but more importantly how the crimes and permanent hospitalization could have been avoided had the patients received help earlier. The film project began after students in Haaken’s psychology class at Portland State found that media coverage of the hospital actually heightened the community’s fears and the perception that those leaving the hospital are still dangerous. There are many people who are much more knowledgeable than me of how those with a mental illness must navigate the judicial system, (I suggest reading Pete Earley’s Crazy: A Father’s Journey Through Mental Health Madness) but every time I hear of one of these nightmare abuse cases it makes my heart ache. That’s someone’s son, someone’s daughter, someone’s brother or sister or friend. 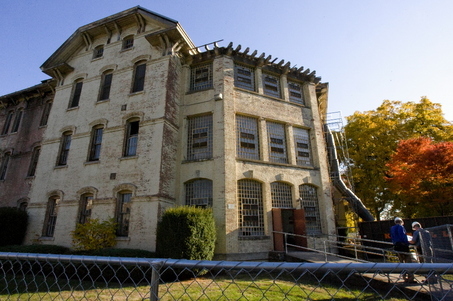 **The above picture is The Oregon State Mental Hospital, however a new facility is under construction and is scheduled to open in 2011. This is a graphical representation of the ensuing changes in family dynamics… it just shows the confusion and uncertainty that happened to my family when things happened to my sister. “My brother frees me, makes me proud to be who I am and from whence I come. I pity those who can not understand his brilliance.” I found this in a journal from over five years ago; it’s still true today.